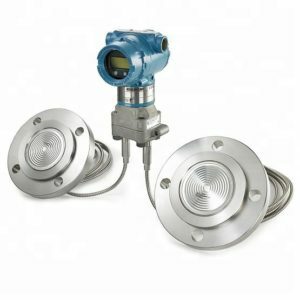 Emerson Pressure Transmitter Rosemount 3051CD2A22A1AB4M5E5T1 : Xian Yunyi Instrument Co., Ltd.
Rosemount¨ 3051L Remanufactured. Level transmitter. Pressure range: -250 to 250 in H2O, Output: 4-20 mA, HART¨ Protocol, Process connection size: 3 in./DN80, Calibrated to full range. Automation Service is not an FM Approved Repair Facility and cannot supply remanufactured or repaired FM Approved equipment for Hazardous Locations.